Time Servers: Best Practices For Businesses Of Any Size | TimeMachines Inc.
A company’s network time protocol, or NTP, can be central to the success of the business. It ensures that all computers and devices on a network are synchronized to one another. This can help in a variety of work practices. For example, as part of the NTP, the synchronization of a business’s time clock server is essential in standardizing the punch times for employees. Any company on its own time server should take certain precautions to guard against security risks, including those presented by members within the company. Read up on these best practices to ensure that your company is taking every measure and precaution necessary. Many businesses that build services or embedded platforms on an external host should consider requesting a public NTP server. NTP uses multiple input servers to provide an accurate time source across any platform your company uses to get the job done. But don’t take our word for it — the history speaks for itself. 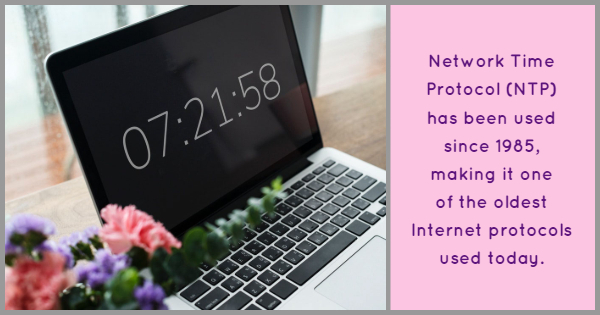 NTP has been in operation since before 1985; therefore it has worked to synchronize your company’s watch since before criminals could use the Internet in nefarious ways. After all, any external hosts can pose a threat to your private NTP. Public NTP time servers do have some limitations. For instance, a business which relies on multiple devices would need a hierarchy of its own to properly synchronize the devices, rather than competing for access on publicly available servers. You will want to restrict the commands you allow on any of the time servers within your company. If you don’t take this precaution, unknown devices can make public queries on your servers and seriously compromise your security. Even within your company, you should place restrictions on who can use which servers. Though you never want to suspect your employees of criminal activity, taking precautions is necessary to establish a secure business. In order to ensure the best security possible, only allow known hosts and networks to communicate with their respective servers. A natural step for many network administrators when setting up their networks is to secure them with encrypted communications and authentication. However, this practice can create overwhelming complications for many businesses. When you decide to use encryption, you’ll also introduce the necessity for key management and higher computational overhead. There are businesses who specialize in cryptographic services that can help with these issues, but encryption may not be worthwhile enough to take on these additional services. Ultimately, you will have to judge whether or not the nature of your business calls for the additional security encryption can provide. Security is important in many different aspects of a business, including the network time clocks. To ensure that your network is secure, contact Time Machines today.